Product Reviews - All you need to know about Rifles, Pistols, Firearms and Parts. Genuine tests with images and detailed review. 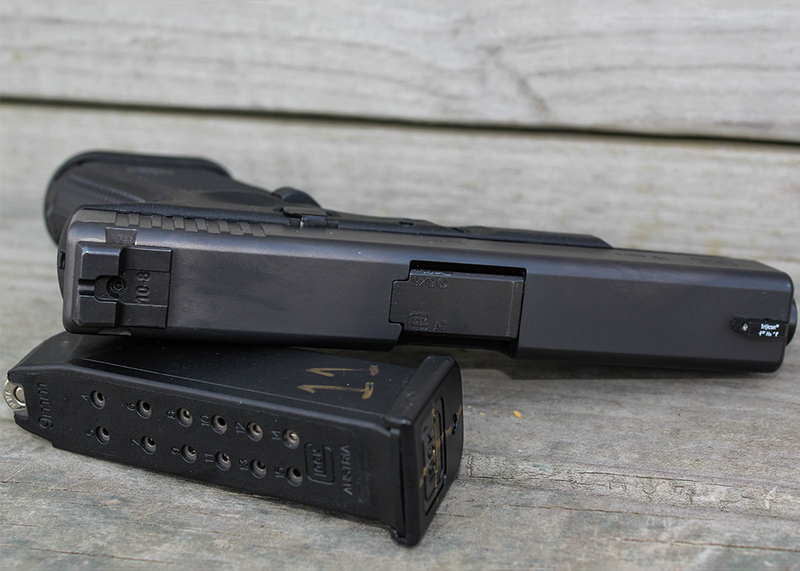 Product Reviews from products manufactured by Rainier Arms and others. The bolt carrier group (BCG) is the beating heart of an AR. Like our own heart, it is not only critical to making things function, but it is also put under significant stress to accomplish that. 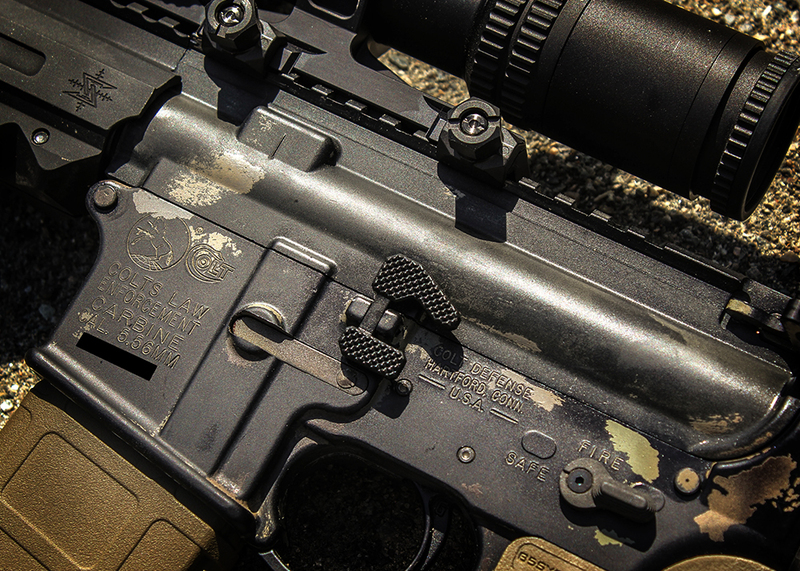 Sure there are many parts of an AR that are critical, most of them in fact. But the BCG is the workhorse – feeding rounds, firing rounds, and extracting rounds. Or Is It? 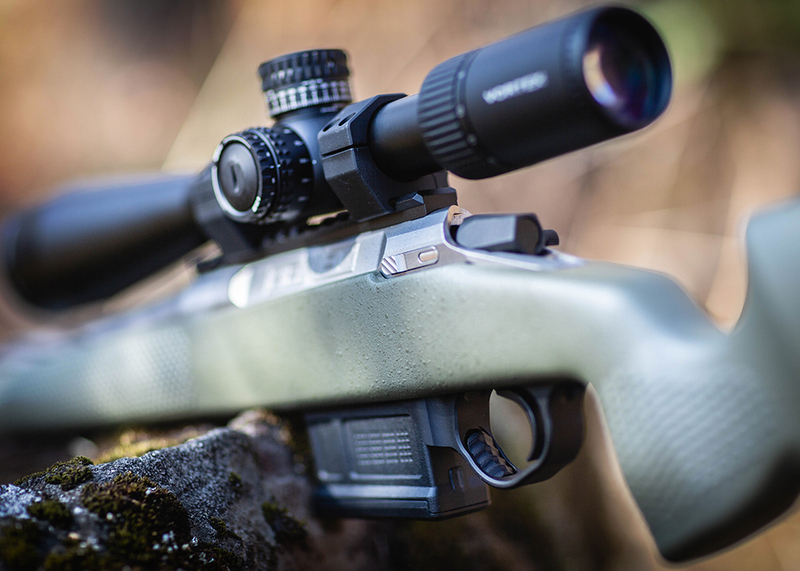 With the ever-growing segment of custom precision bolt guns the last five or so years, we’ve seen a huge growth in the category of lightweight or “backcountry” rifles. As a hunter that makes the attempt to reach difficult areas away from the pumpkin patch, I’m a fan. But as I have put my hands around more than a few of the ponderous pill pushers, I found myself still wishing for my heavier, more capable long-range rifles. 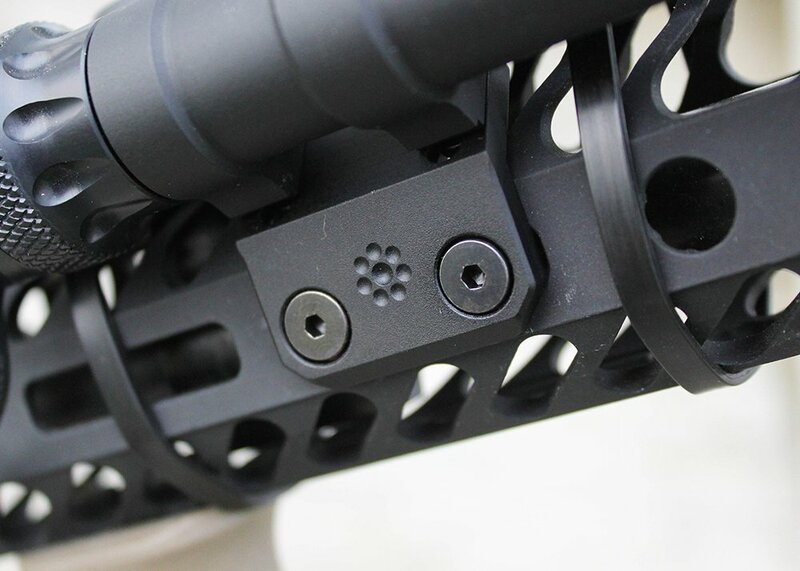 I first came across the Blitzkrieg Components AR-15 Chevron Front Sight Post in the same place I think many of us do when discovering new and interesting products for shooting – Facebook. 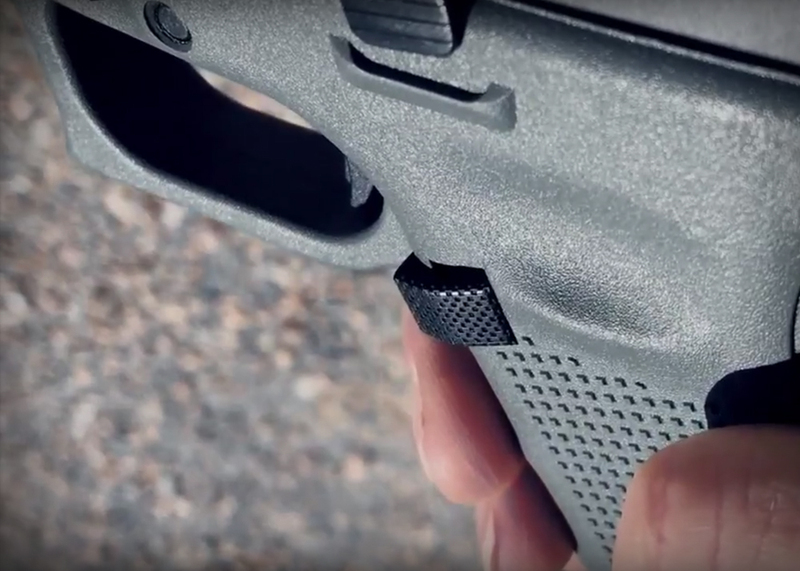 Up popped an image in my feed with a close-up shot of a front sight post unlike any I’d seen before. My experience with front sight posts on ARs was limited to just that, a post. You looked through your peep sight on your rear iron sight and there was a plain, black post waiting for you down at the other end for your aiming needs. 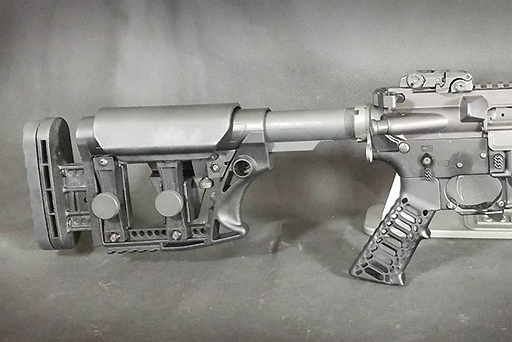 The LuthAR MBA – 3 is a very interesting stock, it is not a traditional stock that most would put on the traditional AR platform. When it comes to carbine buffer tubes, most people start looking at the traditional Magpul stocks, Mission First Tactical and many others. 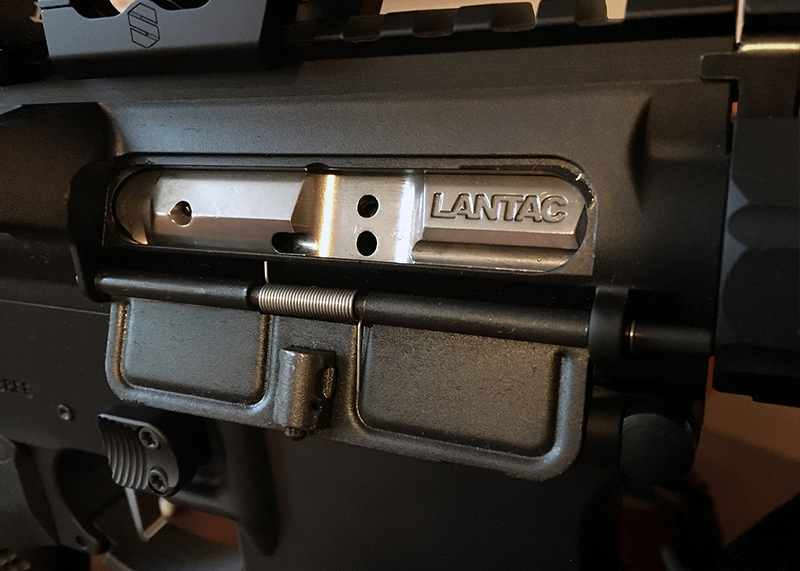 This is not an issue for a traditional AR, but as long-range precision is becoming more and more popular LuthAR stepped up to create a precision stock that can be fit onto a standard carbine buffer. This opens up the ability for those who do not like fixed stocks or cannot use a traditional fixed stock to use a precision stock. Let's take a minute to discuss the bane of my existence - factory handgun sights. I hate them. It doesn't even matter which manufacturer, really. Realistically, you're going to end up with one of two options: 1) some sort of white dot sight, to include Glock's weird pumpkin/basket configuration, or 2) some sort of glowing 3-dot sight. As a Glock shooter, I dislike both options, so I rarely spring for the more expensive night sight gun. I usually buy the cheaper plastic sight gun, then use the savings to put toward a nice set of aftermarket sights. I'm always open to new designs, but as of now my favorite sights are from 10-8 Performance. I've had the pleasure of experiencing Trijicon's Accupower 1-8x28 optic for the last three months. For those of you who may be looking for a low power variable optic for duty use, this is an optic you really need to take a look at. Rainier Arms , Glock , M.A.R.S. 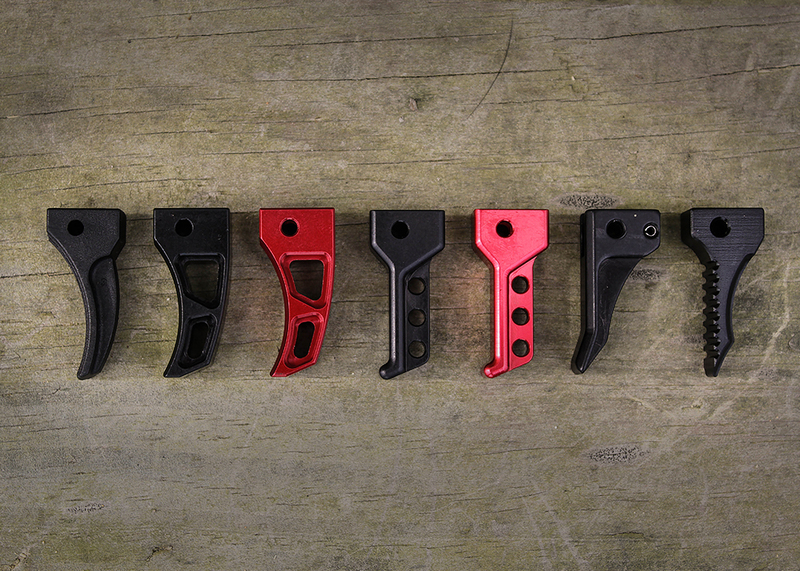 "Aftermarket Triggers for the CZ Scorpion EVO 3 listed from Left to Right: CZ stock, HBI Delta in black and red, HBI Theta Forward in black and red, Shooter's Element, and Nelson Precision Stinger."